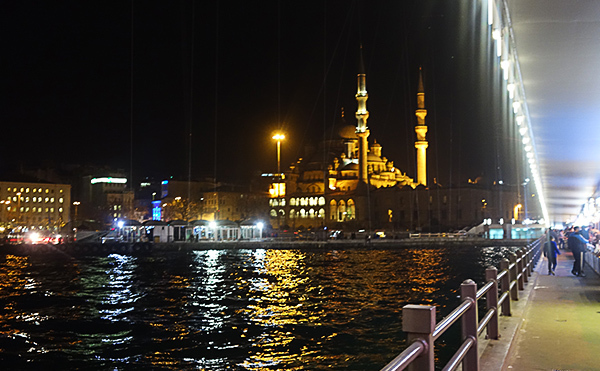 Istanbul is such a huge city – two days in we really hadn’t seen many of the tourist sites (mostly just the Hagia Sophia and Blue Mosque), having mostly seen a few small neighborhoods. There were still dozens of places to see. This day, our third in a city and a Tuesday, we planned to fix that, visiting the archaeology museum, a good source of near Eastern and Greek archaeology, see the spice market, and also step into a few of the smaller (though still huge) mosques that dot the city. First stop: the archaeology museum. This lies in a large historic complex that also includes Topkapı Palace, the Hagia Irene, and Gülhane Park. 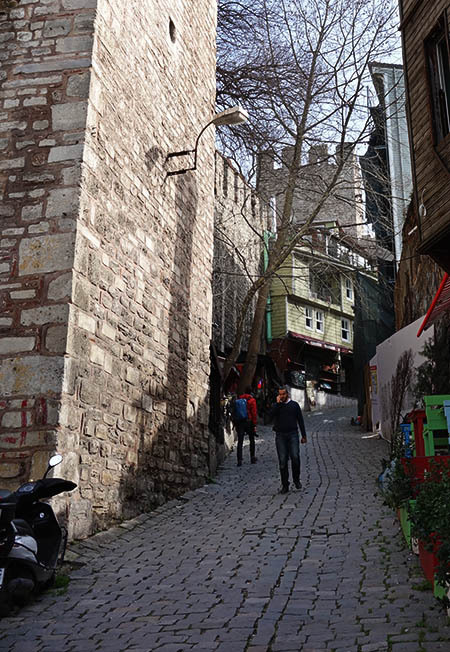 The whole area is surrounded with medieval walls and adjacent alleys; it was busy on each side, but on the West side it felt mostly Turkish, while on the East side, near the Hagia Sophia, it was more tourist. You might wonder what kind of archaeology you’d find in Turkey, but there’s an immense amount of history in the country, and I was sad to see that the Archaeology Museum felt a little under-funded (though there were still extensive renovations ongoing). One section of the museum is devoted to a history of the city from Byzantium through Constantinople; another to the historic cultures of the Anatolian peninsula. There were also sections devoted to the ancient Near East and Mesopotamia, and to the Ionic coast, one nexus of ancient Greek civilization (home of Troy, Herodotus, and many pre-Socratic philosophers). It’s a huge museum, really more than you can absorb in a day. 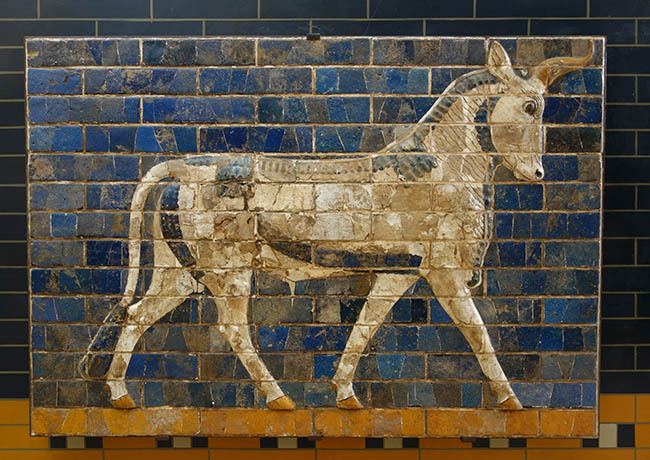 Some of my favorite parts were seeing part of the Ishtar Gate (a really striking gate from the Babylonian walls; I’d seen the bulk of it in Berlin at the Pergamon Museum). I also really enjoyed seeing a lot of the Greek relics, especially some immense sarcophagi with stunning bas relief sculpture. 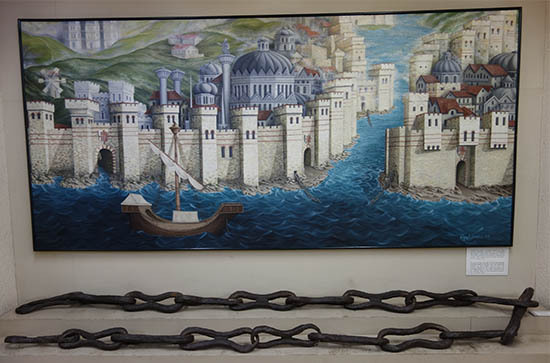 But the highlight for me was presented in such a forgettable way that it understated the significance: several links from the great chain that stretched across the harbor during the siege of Constantinople. The whole history of the siege is extraordinarily dramatic and heroic. Seeing a well-known relic from this siege, which changed world history, was really awe-inspiring. If you’d like to read an account of the sieve I’d highly recommend 1453. Outside the museum there were seats and shut-down food stand. We had some snack and watched the cats in the garden. 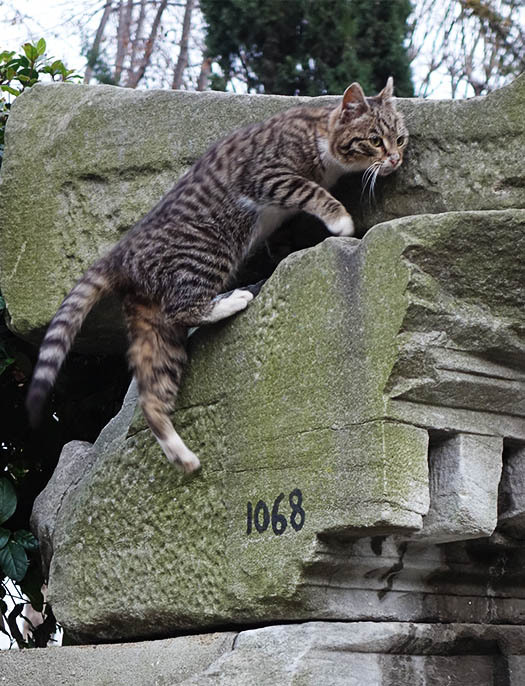 There were some really beautiful animals navigating the maze of numbered Greek capstones and sculptures. Entering on the East side, we proceeded the visit the other sites in the main square, near the Hagia Sophia and Blue Mosque. This was the site of the ancient Hippodrome, home of chariot races. chariot races were undoubtedly more popular in Constantinople than gladiator matches, and there were several riots based on chariot races & teams that threatened to overthrow the city. 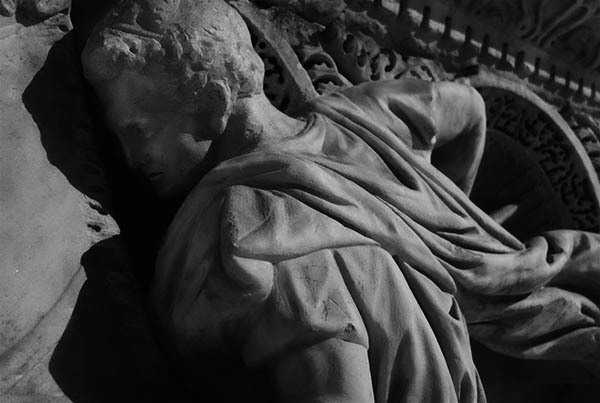 To put down one such riot, almost 30k people were killed in the Hippodrome. More recently, a remaining obelisk from the Hippodrome was the site of an ISIS bombing that killed several tourists, so needless to say I was on edge, and we didn’t spend as much time there as I would have liked. 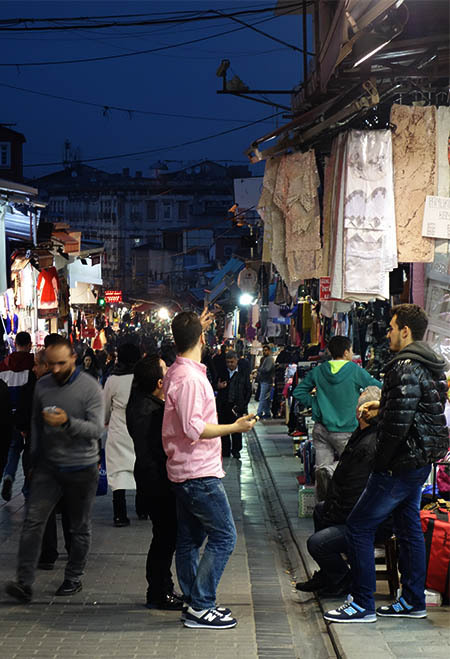 It was getting dark as we revisited the area near the Grand Bazaar. 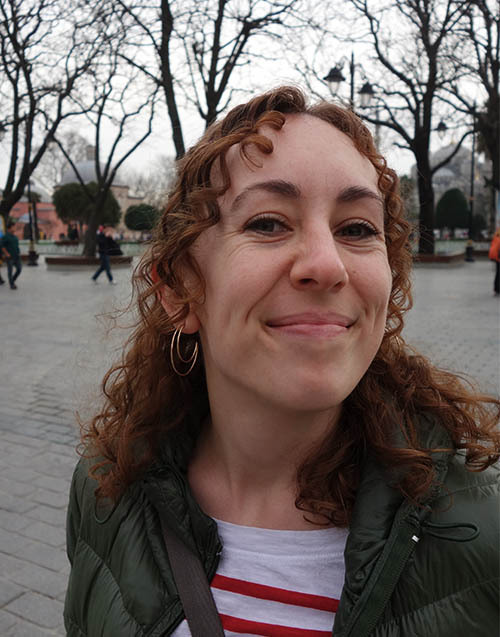 This area, broadly speaking, was my favorite part of the city – it felt so alive and intimate. It was the main shopping district in this area of the city. As darkness unrolled above us, the alleys seemed to grow closer, the lights on either side of the streets more inviting. It was a lot of fun seeing everyone shopping and the shopkeepers sipping tea, and after getting lost we found ourselves in the Spice Market. This was a bit flashy and touristy, but the structure itself is mostly an old warehouse, and the spices are presented in an appealing way. I enjoyed seeing the different food on offer. 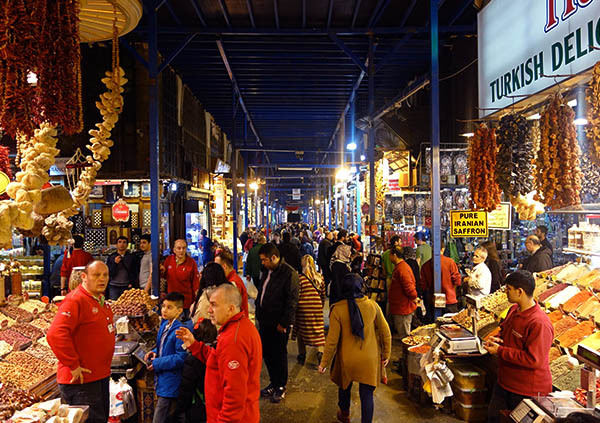 We bought a small sampler of baklava and Turkish delight, though we bought a much larger, cheaper bag of Turkish delight a bit outside the market. By the time we left it was dark. The entrance to one of the major mosques was directly adjacent to the exit of the spice market, and we hung out in the ‘lobby’ of this mosque for a while. 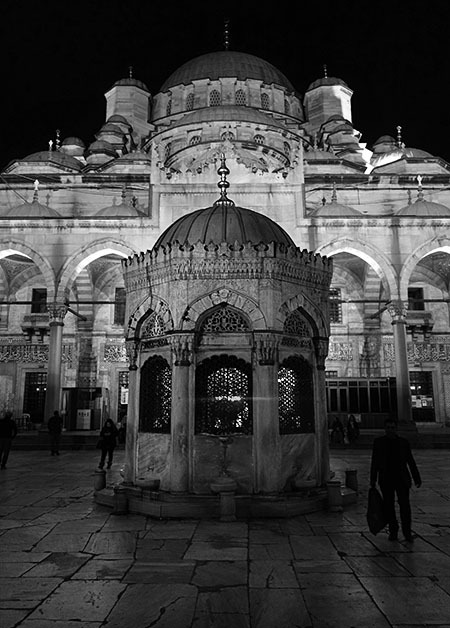 It was quiet, though there was a steady stream of people hurrying in and out from conducting their evening prayers. I wasn’t aware this was part of worshiping at a mosque, but there was a series of faucets for washing feet. I guess I should have known – it was something my co-workers did when I worked at an Indian restaurant. I guess it just took me by surprise. 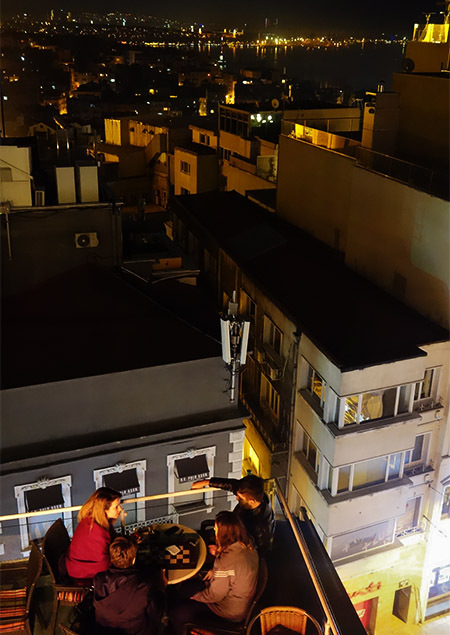 We crossed back into Galata to drop our snacks and bags off at the apartment, then headed out to smoke some hookah. I really enjoyed smoking hookah – after a bit of practice I learned when to stop smoking and slow down, lest I get sick. 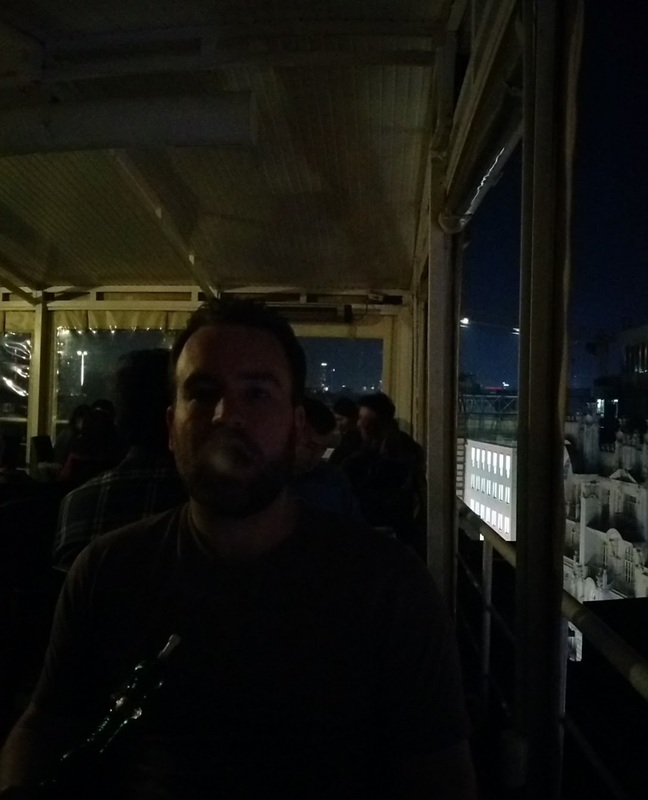 Earlier in our stay we’d smoked in what I could only describe as a ‘hookah den’, but this time I found a very nice hookah cafe high over the city, with a view of the harbor where we could see ferries criss-crossing into Asia. View while smoking hookah – we were on the second floor (maybe the 6th floor of the building). The next day we’d both set foot in Asia for the first time, which I was excited to see – but for now it was nice to relax with good company. This entry was posted in Uncategorized on November 7, 2016 by rob.